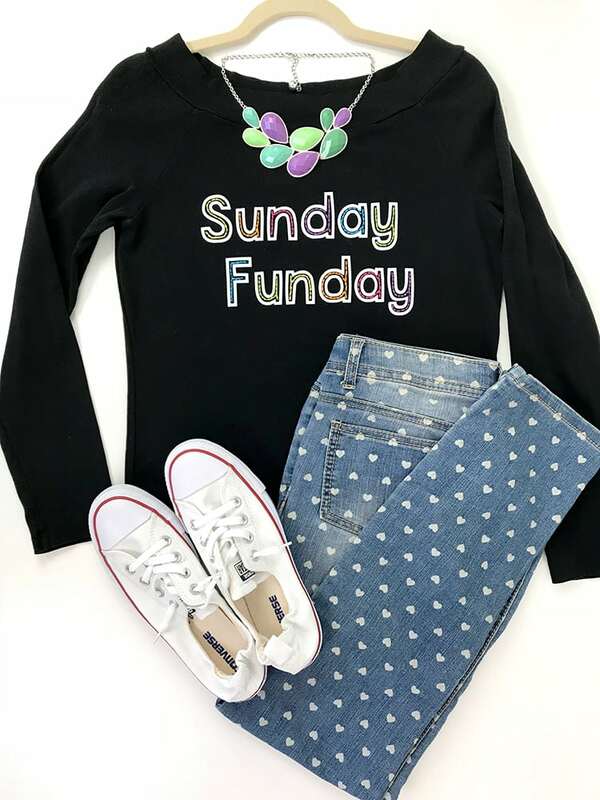 Make this easy DIY Sunday Funday Shirt with our free SVG file, and then add texture, color, and detail with a few basic embroidery stitches. Such a fun idea! 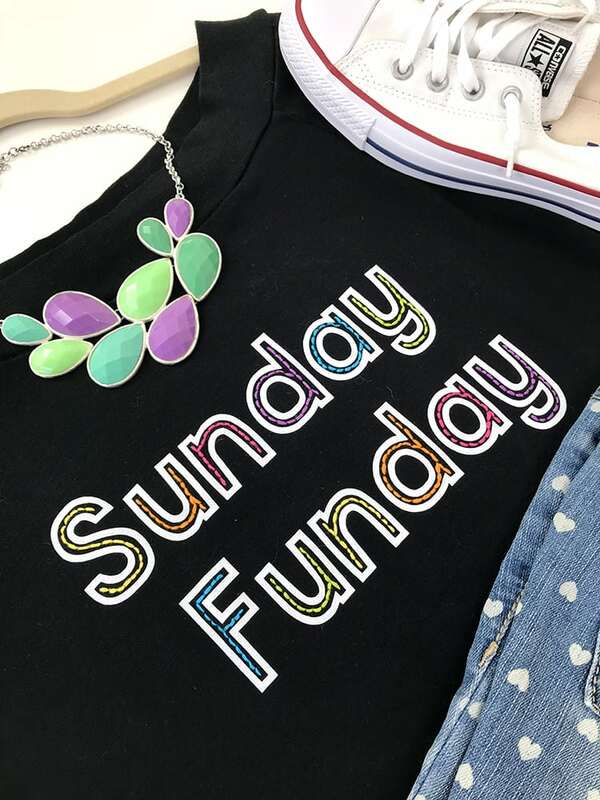 This DIY Sunday Funday shirt is perfect for Sunday brunch, girls’ day out, or just snuggling up on the couch to watch football! 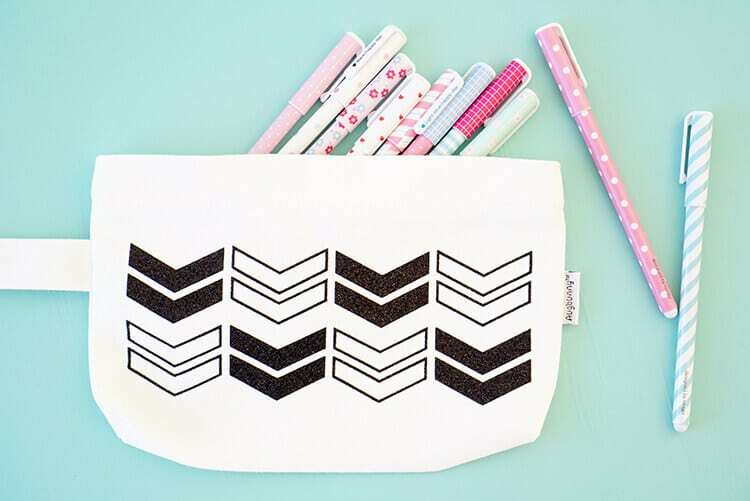 Download our free SVG file to use with your Cricut cutting machine (or other brand) for a quick and easy do-it-yourself fashion idea! 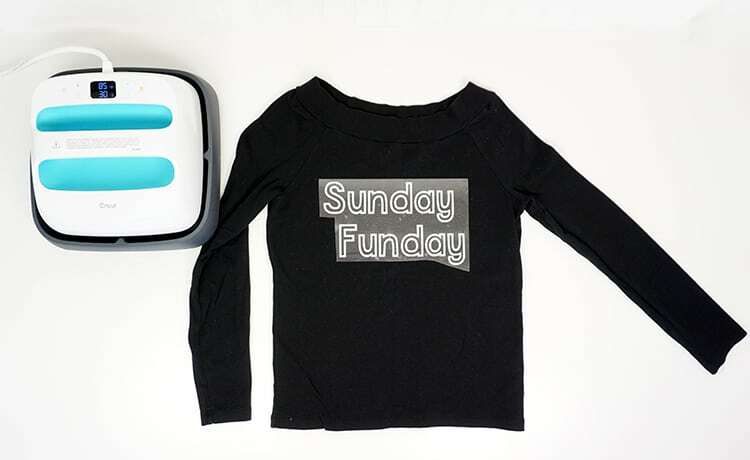 Start by cutting out the “Sunday Funday” SVG file with your Cricut Maker and white glitter iron-on. Don’t forget to mirror the image before you cut it! Use the weeding tool to weed the excess vinyl. Then, it’s time for the fun part! 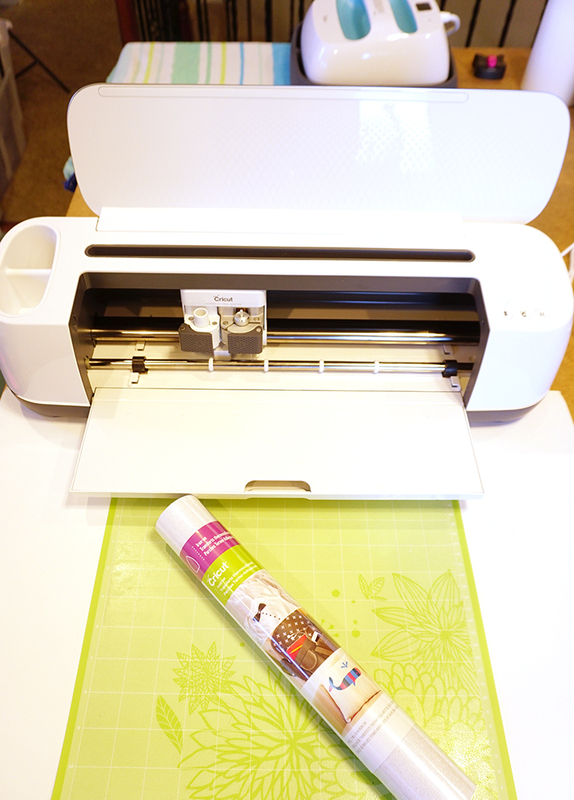 I can’t even properly tell you how much I LOVE my new Cricut EasyPress! 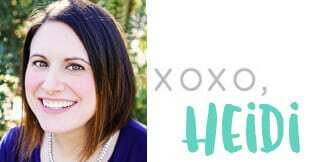 Like, seriously, totally head-over-heels for this amazing tool! 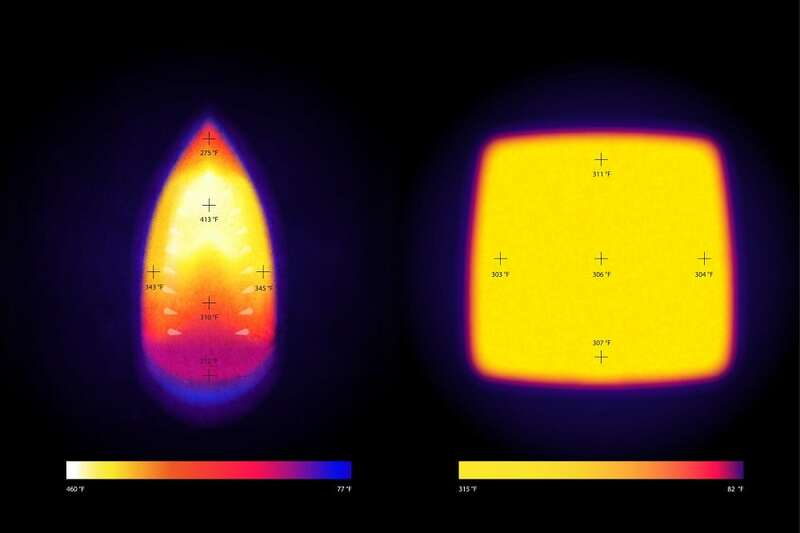 That right there is a thermal image of the heat distribution of a traditional iron vs. the EasyPress. As you can see, the iron varies by up to TWO HUNDRED degrees in places! 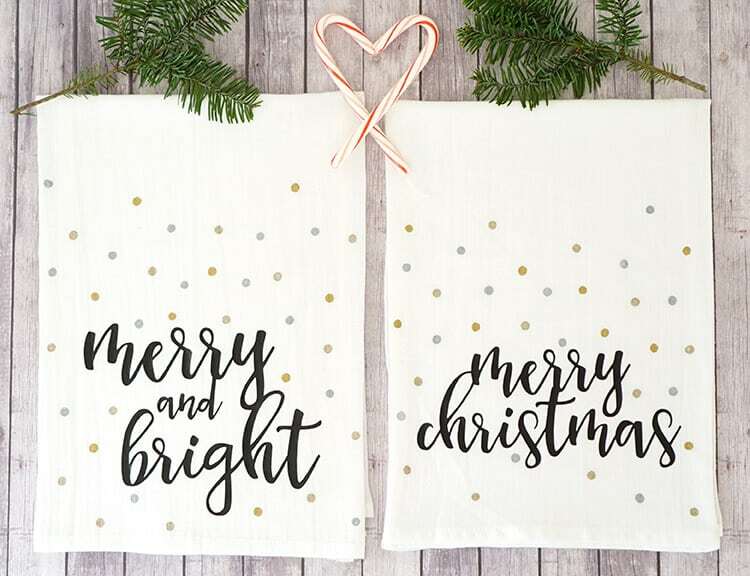 This temperature variation is what leads to lots of failed iron-on vinyl projects, and it also leads to projects that don’t’ hold up well in the washing machine. 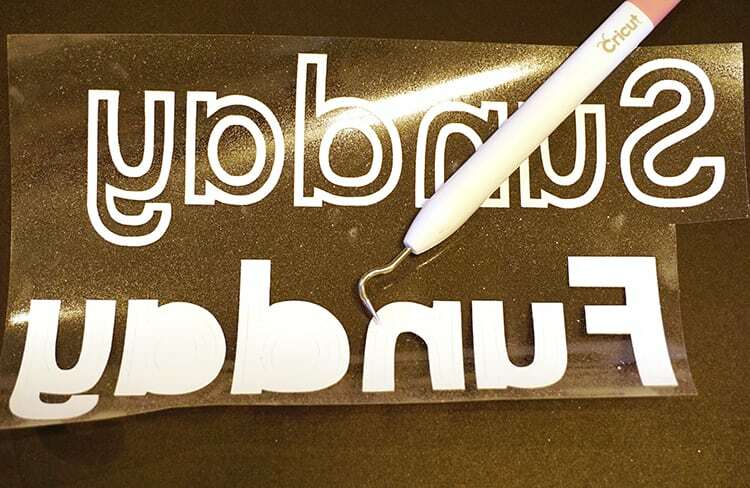 These challenges turn a lot of people off of doing heat transfer vinyl projects…or else they shell out the big bucks for a large (and rather dangerous!) commercial heat press. Now, look at the thermal image of the EasyPress. The entire 9″ x 9″ surface plate experiences less than TEN DEGREE temperature variance. WOW! 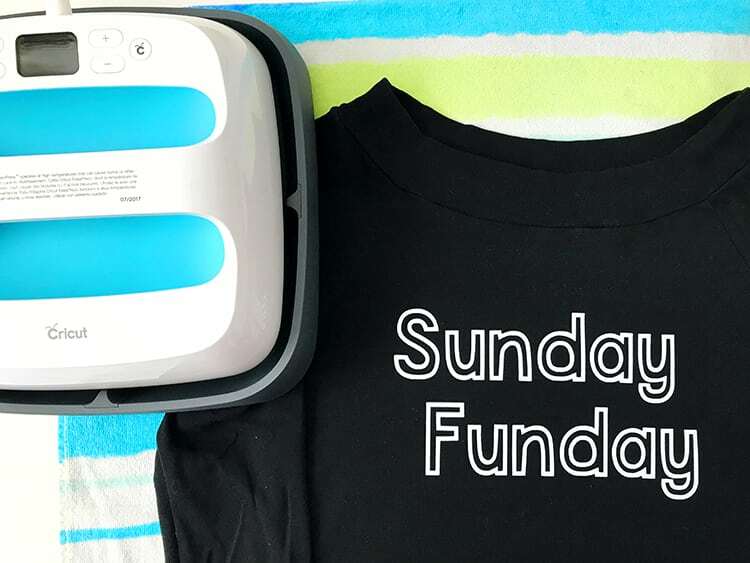 I have to admit that I was one of those people who tended to shy away from iron-on projects because of past craft fails, but the EasyPress has been a total game-changer! I made nearly a dozen shirts in the first week that I got it, and they have held up beautifully in the wash! 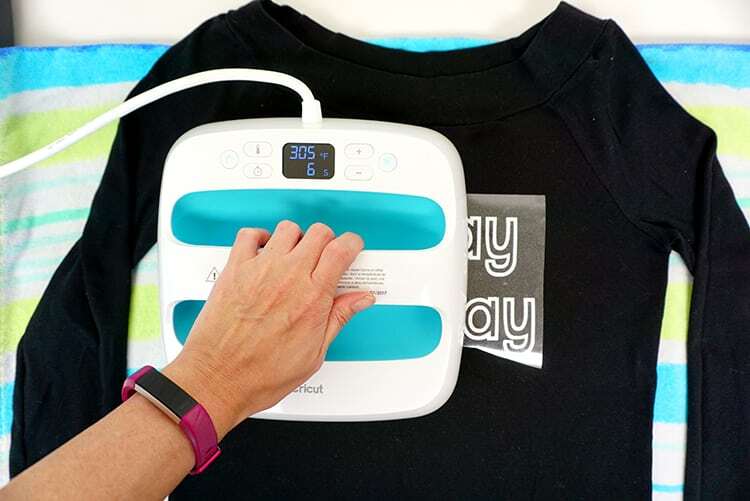 To make your shirt, consult the time/temperature guide and set your EasyPress to the appropriate settings. Once it has heated up (it only takes a couple of minutes! ), simply use light pressure to hold the Easy Press over your design for the recommended amount of time. 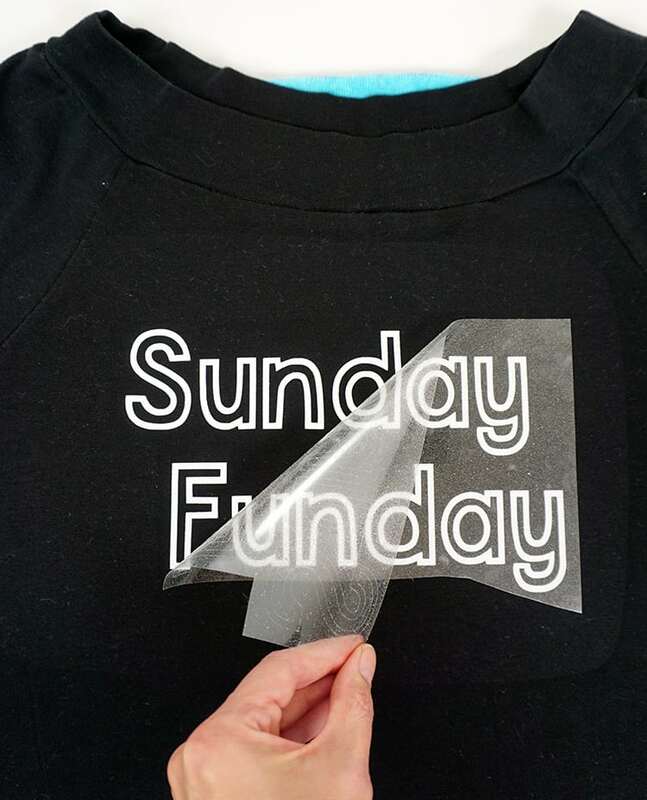 For larger designs like this one, press the garment in multiple sections. Peel back the plastic cover, and that’s it – easy peasy! 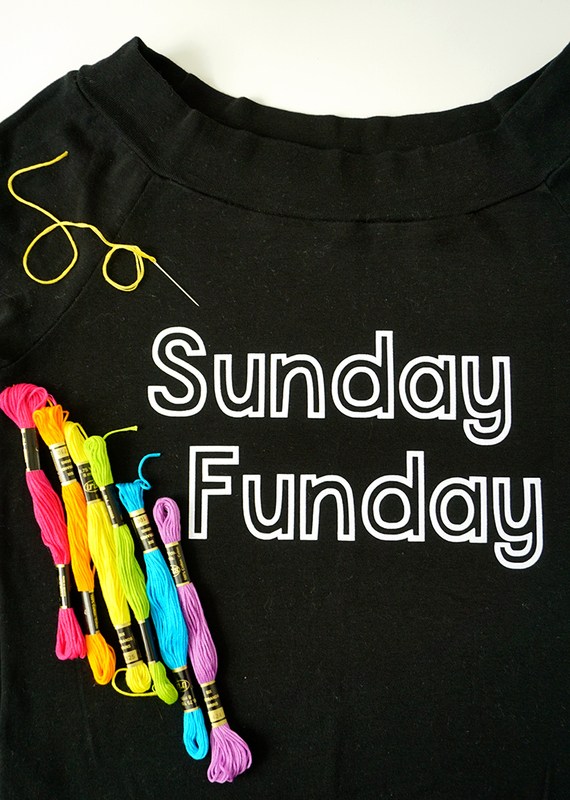 You could leave your shirt as-is, but I wanted to add some pops of color, so I gathered up a bright array of embroidery thread and an embroidery needle. 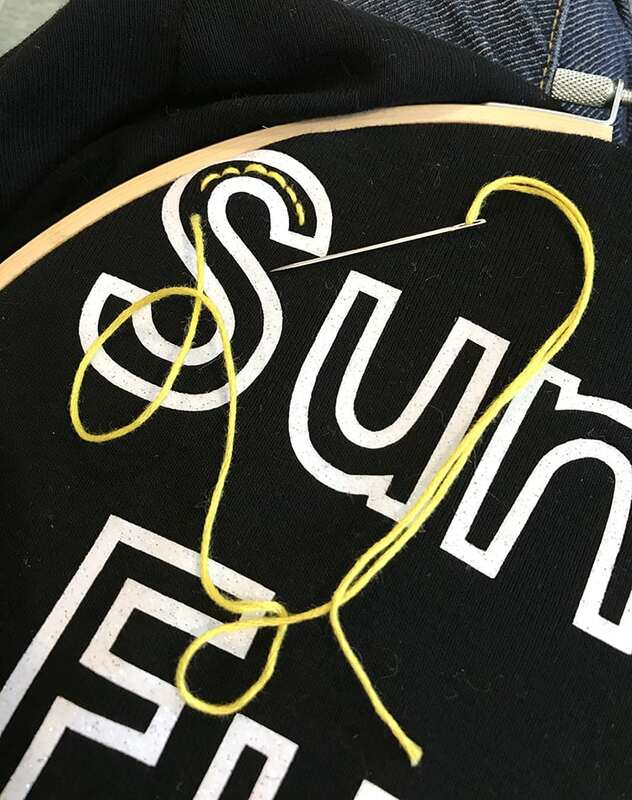 Working in sections, secure the fabric in an embroidery hoop, and fill each letter with a basic backstitch. Now, I may possibly be the slowest stitcher in the world, but it took me an entire Pirates of the Caribbean: Dead Men Tell No Tales to complete all of the embroidered detail. It might take you a lot less time, though! Seriously dying over how super cute this turned out! 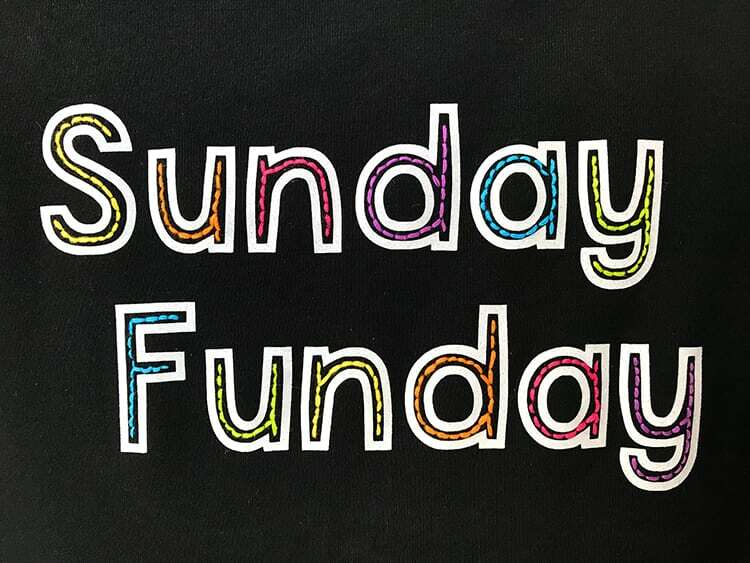 Now Sunday just needs to hurry up and come back around so that I can wear my new soon-to-be-favorite sweatshirt! 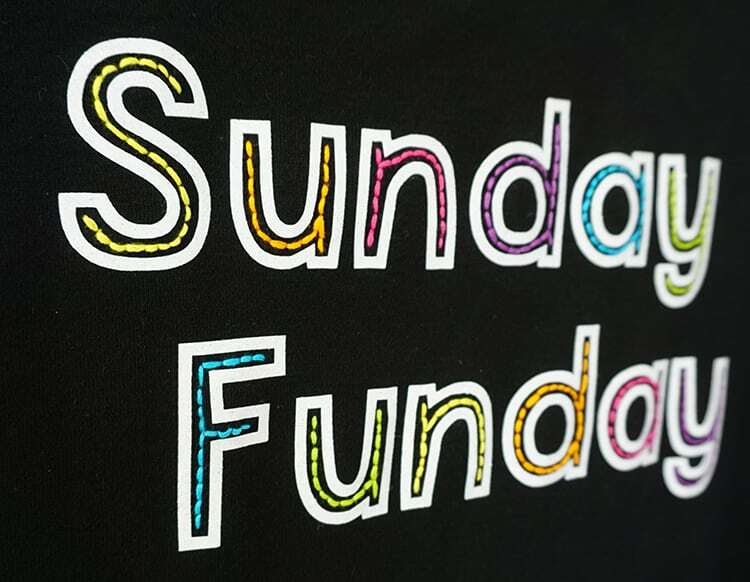 If you like this Sunday Funday shirt, don’t forget to pin it! How cute! 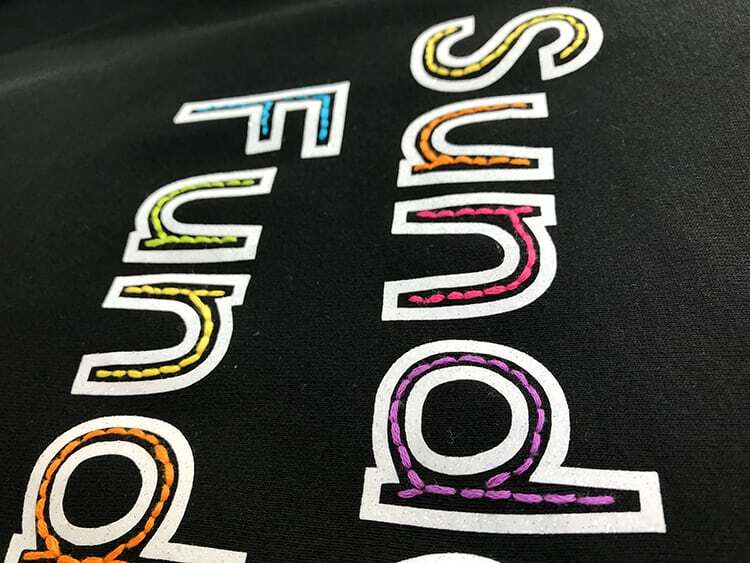 Love the added color with the embroidery floss! Great idea! Love this idea. 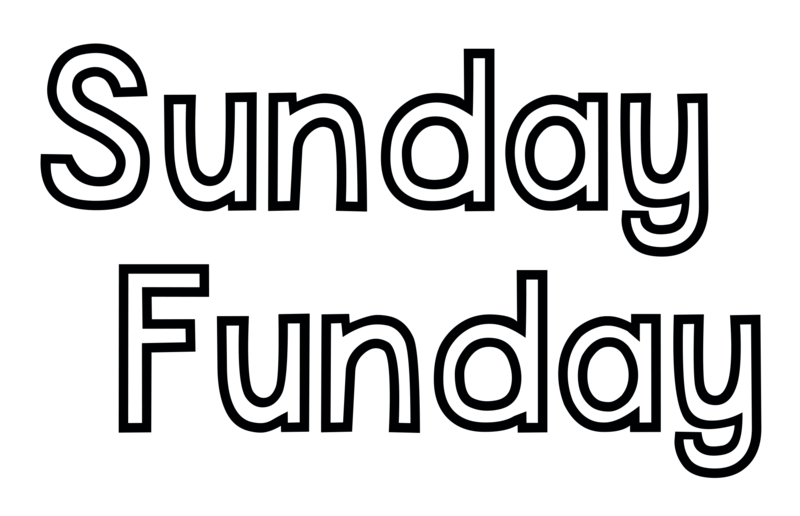 If possible, please share the font name. I would like to use your idea on other phrases. The font is DJB Speak Out and you can download it here for free.